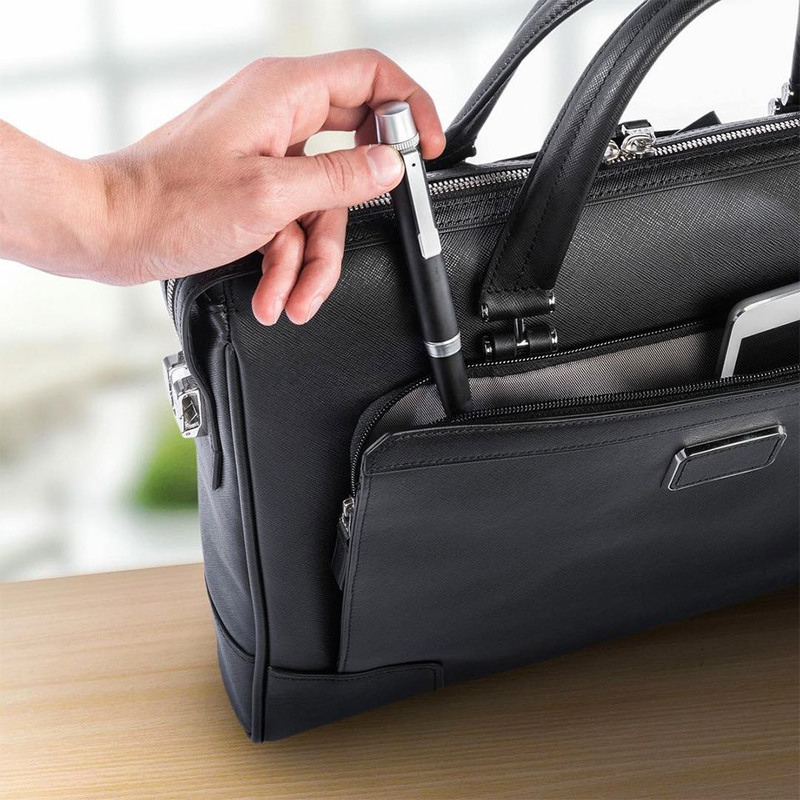 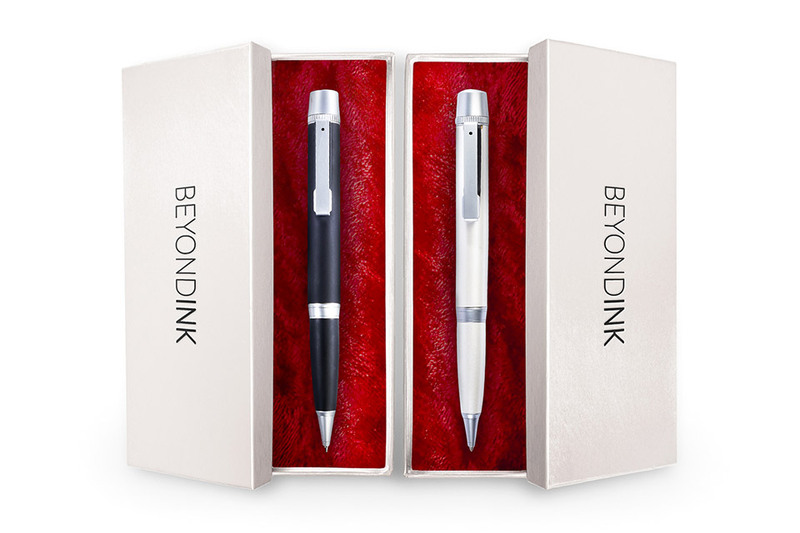 A pen that combines several useful functions in one pocket-sized device. 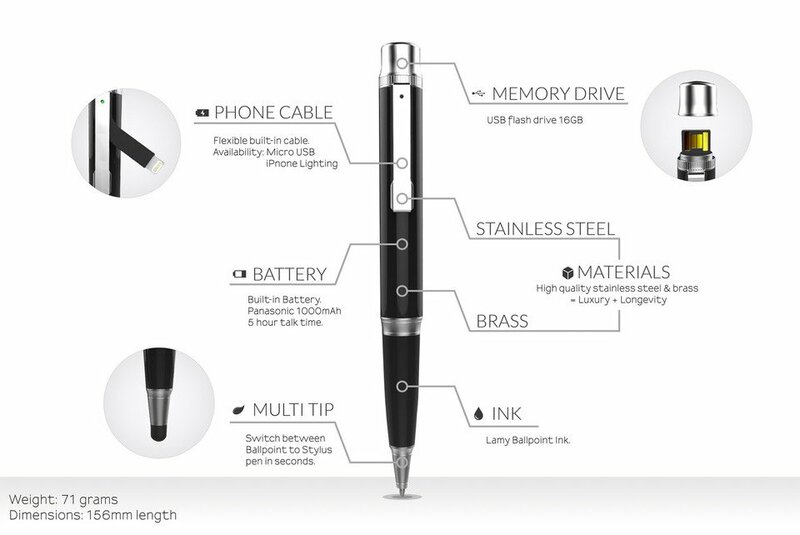 In addition to working as a ballpoint pen, it’s got a 16GB flash drive, a phone charging cable (Lightning or MicroUSB), a 1000mAh battery, and a capacitive stylus built in. 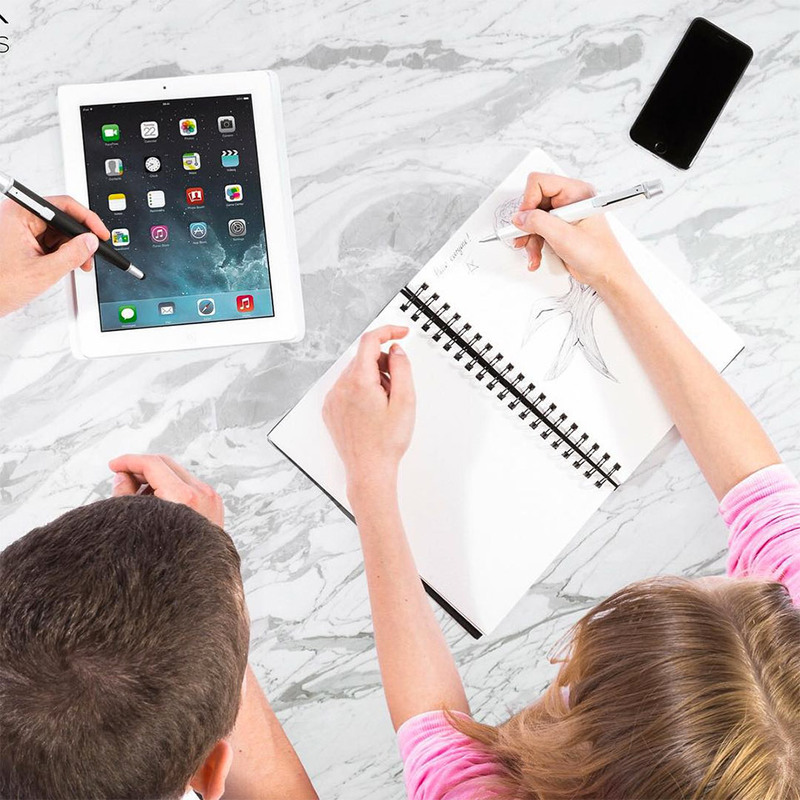 Save 30% in The Awesomer Shop.